Let's solve the unsolvable case! 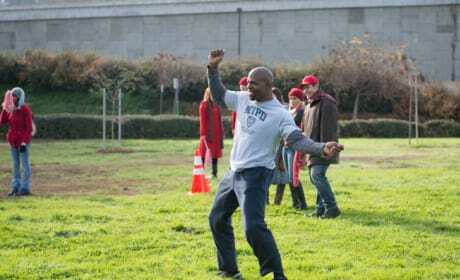 Jeffords and Jake give it a shot here on Brooklyn Nine-Nine. 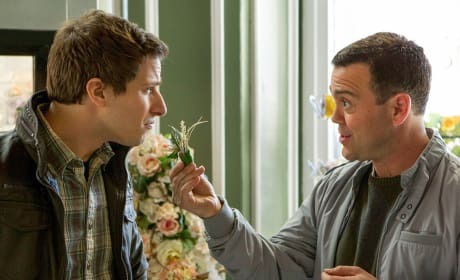 Jake is forced to care about flowers in this Brooklyn Nine-Nine scene. Why? Because he is Boyle's Best Man. 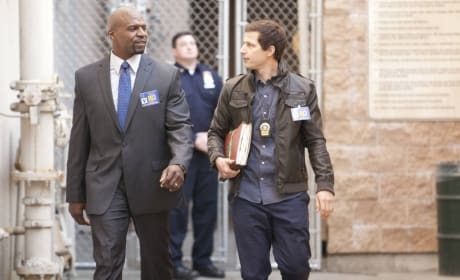 Terry and Jake work together to solve a cold case on Brooklyn Nine-Nine. "Unsolvable" is the 21st episode of the show's first season. An extreme diet leads to extreme behavior on Brooklyn Nine-Nine. "Fancy Brugdom" is the 20th episode of the show's first season. Like some kind of food duo Boyle would know better than we do, these two complement each other perfectly. 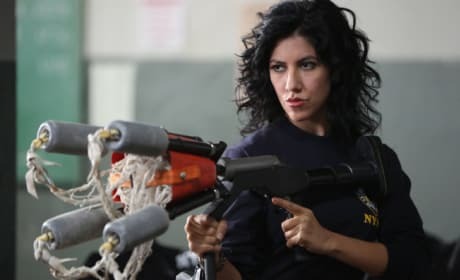 Diaz and the rest of the detectives must take a mandatory training class on Brooklyn Nine-Nine. "Tactical Village" is the 19th episode of the show's first season. 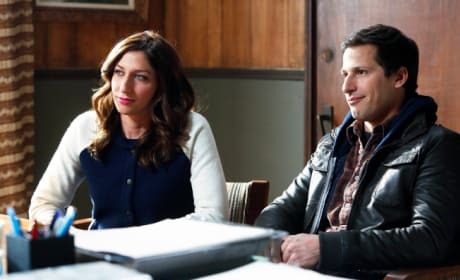 Jake has to find a new place to live and Gina offers to help on Brooklyn Nine-Nine. "The Apartment" is the 18th episode of the show's first season. 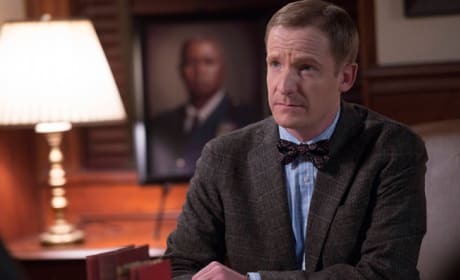 Marilu Henner guest stars here on Brooklyn Nine-Nine. It's a photo from "The Party." Go Terry! Go Terry! Go Terry! Go! 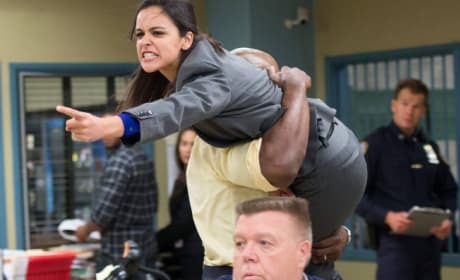 This is a photo from the Brooklyn Nine-Nine Super Bowl episode. 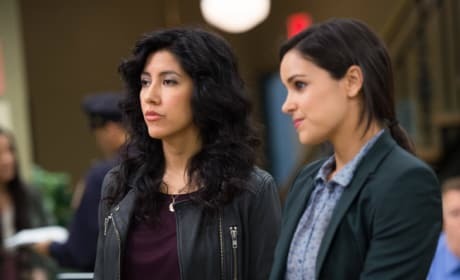 Amy and Rosa must deal with a costumed crime fighter on Brooklyn Nine Nine. 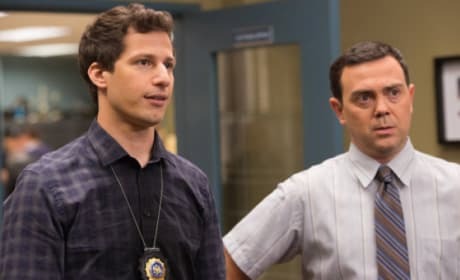 "Full Boyle" is the 17th episode of the show's first season. Capt. 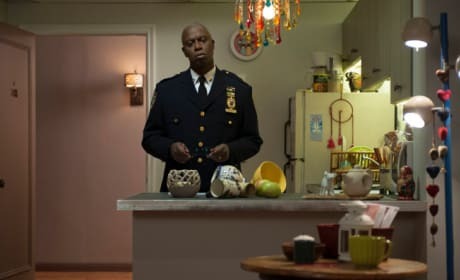 Holt's husband meets the officers from the precinct on Brooklyn Nine-Nine. "The Party" is the 16th episode of the show's first season. 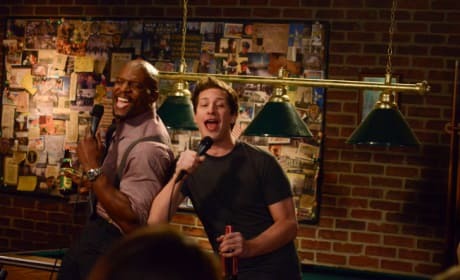 You've gotta love Captain Holt on Brooklyn Nine-Nine. This is a scene from "The Ebony Falcon."